When asked about the most important commandment, Jesus cites the summary given in Deuteronomy 6:4-5. In doing so, he underscores how supremely important it is to love the Lord our God with our entire beings. At the same time, he does not neglect the other table of the law. 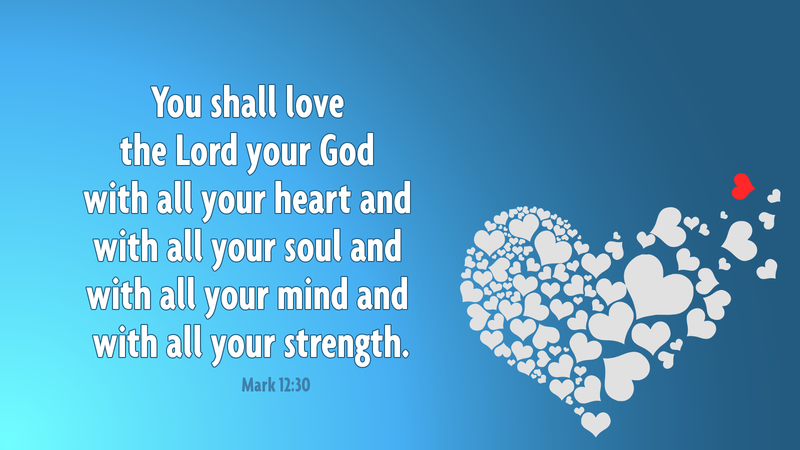 For if we love the Lord, we must also love those whom he loves. Honest persons will admit they break these commandments. So we must turn again in faith to keep the first commandment. To love the Lord after failing him is a sign of genuine sanctity, for it can only be done by God’s Spirit at work in us. Knowing then, that “the former things shall not be remembered,” we are freed to “rejoice forever.” We may fly again and again to God, never ceasing to depend upon his mercy, even as we try to keep the commandments. John provides another helpful summary of the law: “Believe in the name of his Son Jesus Christ and love one another” (1 Jn 3:23). We do well to continue turning to God in faith as we seek again and again to keep the law. Prayer: Forgive me of my failures and sins, Lord, but help me always to rejoice in your love. Amen.